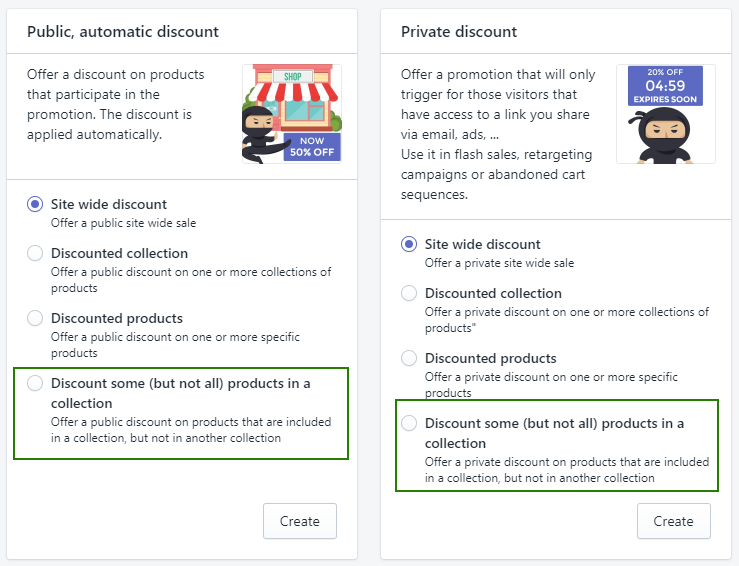 Create a new promotion and choose the "Discount some (but not all) products in a collection" template. This template is available for public and private promotions. Top section: select "all products" or "all products in selected collection(s)" to define which products should be discounted. 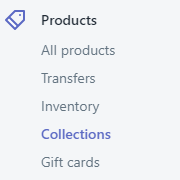 Bottom section: select which collections of products should be excluded. If you want to exclude only one product, you'll need to first create a collection for it (see instructions below). Discount Ninja can handle both types of collections. 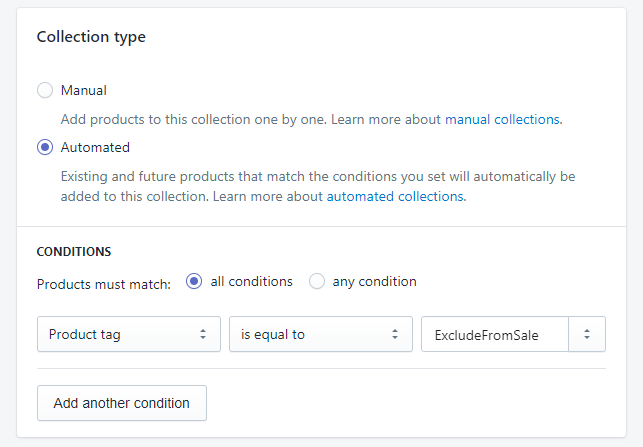 Often it's a good idea to use automated (rule based) collections when you're grouping products into different collections for your promotions. 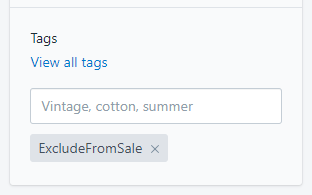 Example: Create a collection with all products that have a tag "ExcludeFromSale"